I’m so proud to team up with Shari Brooks of My Judy the Foodie and friends for another year of Bake it Happen. Shari’s blog honors her late mother (Judy) who tragically lost her fight against breast cancer. Too many women, including Judy, and my great aunt Ella had their life cut way too short from breast cancer. Bake It Happen is a really simple way to raise money for breast cancer research. They are teaming up with the Pink Pumpkin Patch Foundation. Both Bake It Happen and the Pink Pumpkin Patch Foundation are dedicated to making certain that all of the funds from the pink pumpkin sales and the Bake it Happen campaign go directly to reputable organizations with the highest percentage of dollars spent on actual research. Then bake one of the recipes. You can make either Pumpkin Oatmeal Chip Cookies, Judy’s Earthquake Cookies, or Judy’s Black Bottom Cupcakes. When you post or email the picture, you’re automatically entered to win an iPad Mini & 100 Baked By Melissa Cupcakes. Isn’t that sweet? This is what I made: Pumpkin Oatmeal Chip Cookies. While I’m not going to give the recipe to you, I will tell you I made my version gluten and dairy free. While I am not eating purely dairy free, it was pretty easy to use a plant based buttery spread and keep it gluten free with gluten free flour and oats. My 5 year old son helped with a little mixing. What are you waiting for? Go bake it happen! Visit http://www.bakeithappen.net. 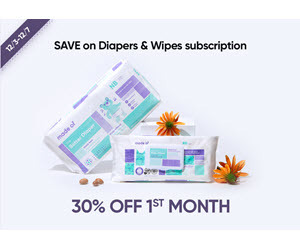 *Promotion begins 10/1/15 and ends 10/31/15 at 11:59pm EST. Must be 18 years or older to enter and live in the contiguous US. One (1) entry per day per person. Winner will be chosen at random using Random.org and will be notified via email and on the Bake it Happen Facebook Fan Page. If winner does not respond within 24-hours of notification, another winner will be chosen. $2 will be donated for Bake it Happen baked good posted to Bake It Happen Facebook Page up to $1000.